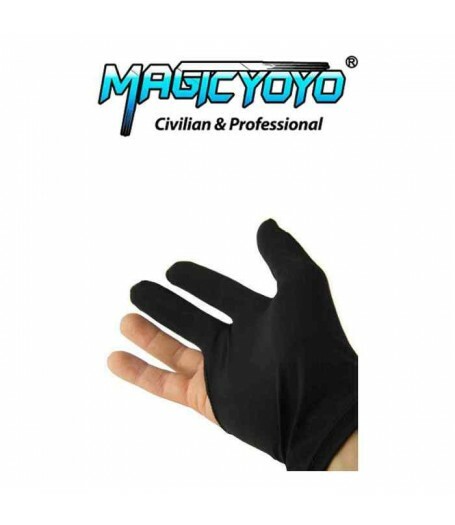 The Magic YoYo Glove is a super-stretchy black glove that should fit most YoYo players. 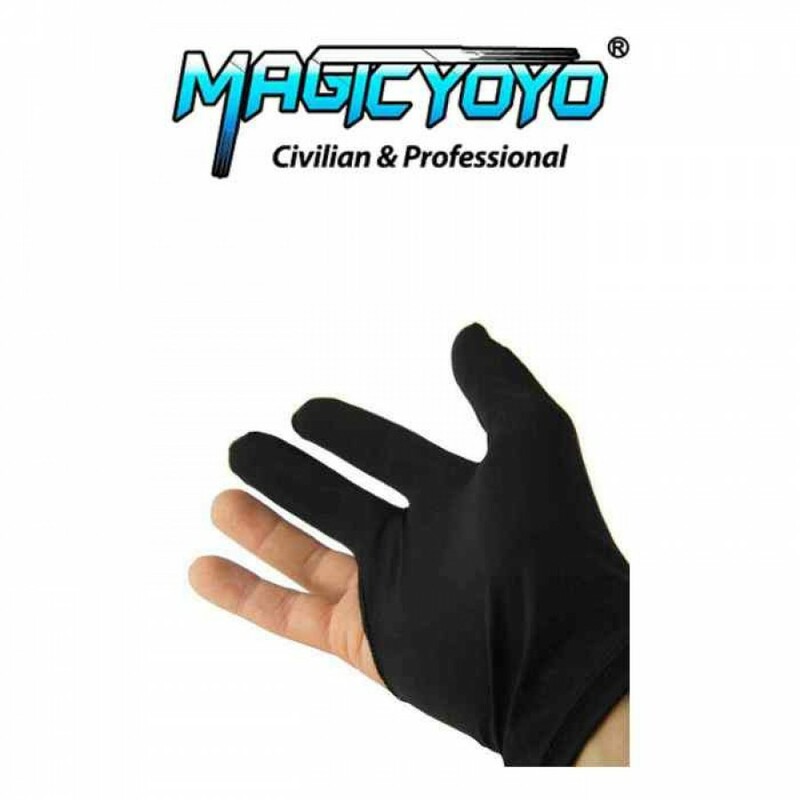 It has a very smooth surface so that you will get minimal friction on the string while you play. 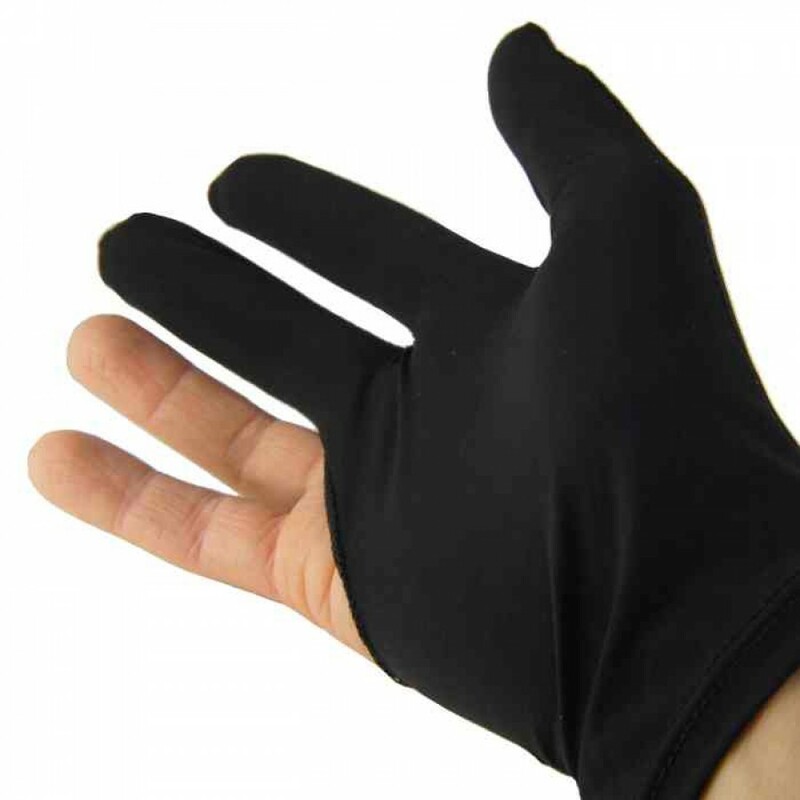 These gloves have a one-size-fits-most size. 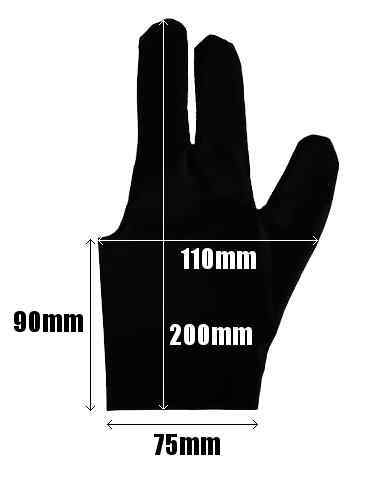 Please see the below image to see some approximate dimensions of the glove, to give you an idea of whether or not it will fit you. 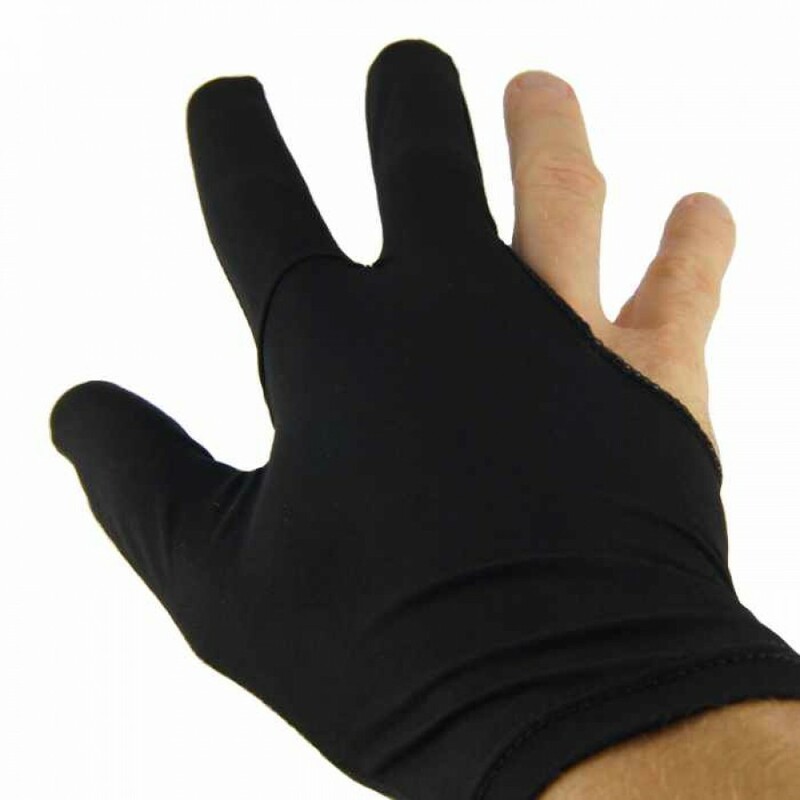 Remember, it is a stretchy material, so it does stretch somewhat. 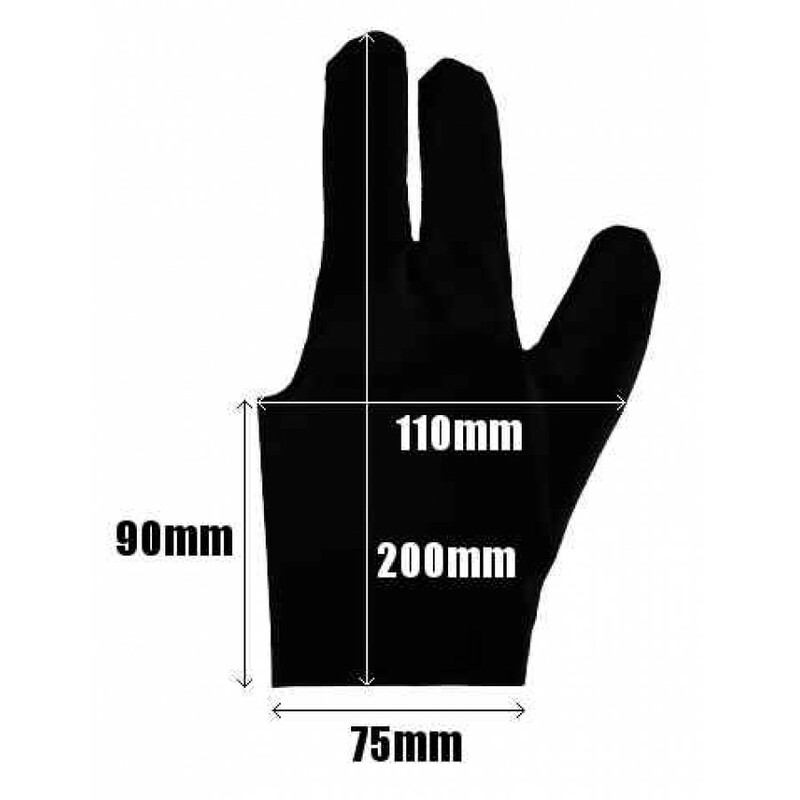 It is probably not suitable for someone with huge hands though!